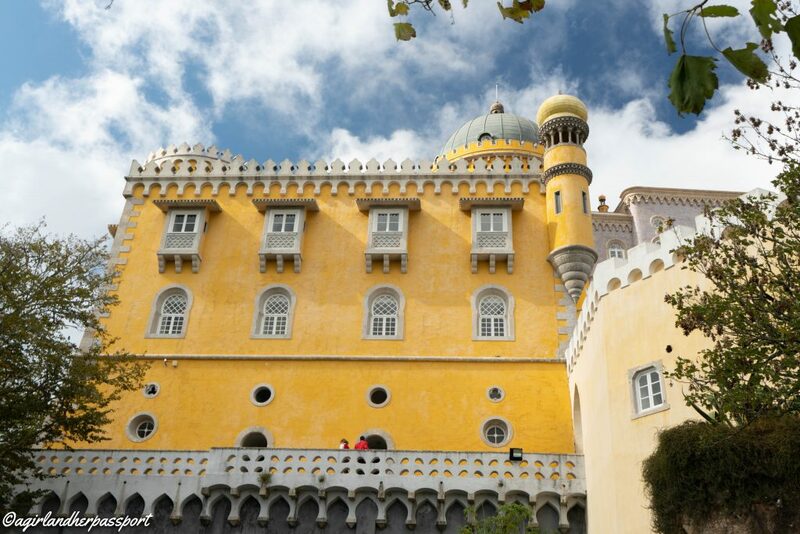 Going to Sintra is a popular day trip from Lisbon. When I was doing research to go to Sintra, people kept telling me I needed to go, but I had a hard time finding out how to get there and how to get around in Sintra. Everything turned out fine, but hopefully, I can make your day trip to Sintra better with these tips. Taking the train to Sintra is the best option. There isn’t much parking in Sintra and the train ticket was €4.50 return plus €0.50 for the card. My advice is to go to the train early as there was a long line to purchase tickets both from an agent and the ticket machine. I think I waited at least a half an hour. The train station to leave from is the Rossio Station, which is in the center of Lisbon. You will take the train to the last stop, which is Sintra. Do not get off at Portela de Sintra. During the week, there are trains about every 20 minutes from Lisbon to Sintra. Don’t make my mistake of going to Sintra in the afternoon thinking that you can see all the castles in that short period of time. My tip is to go in the morning, the earlier the better. Most of the castles open by 9:30 AM. Some of the castles had lines to purchase tickets as well. During the summer, the attractions are open till about 6:00 or 7:00 pm. The trains run till late at night, so you have plenty of time to return. I would just make sure you return before it gets too dark as some of the neighborhoods the train runs through are a bit rough. 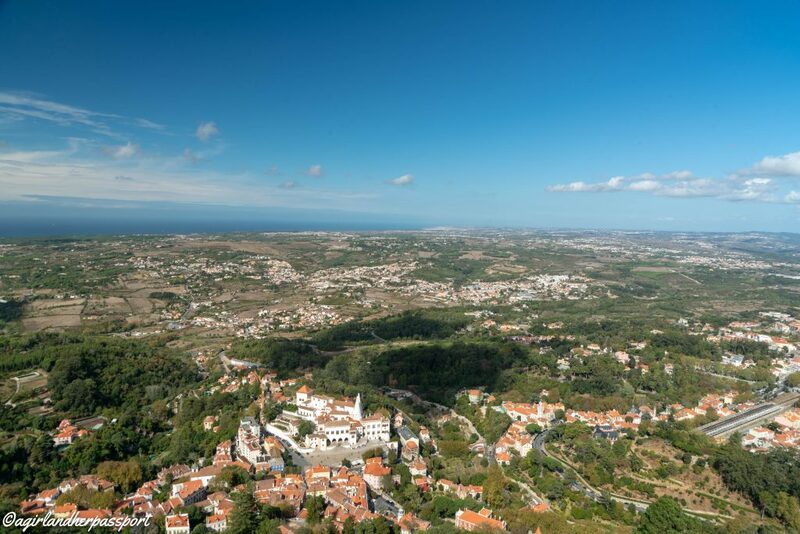 All the castles and attractions in Sintra are spread far apart on a mountain. This makes walking to everything a challenge and physically daunting. The best thing is to take the bus. When you leave the train station, take a right and you will see a bus stop. There are people selling tickets for the bus right there and the buses can take you to all the attractions. The trick is which bus to take first. 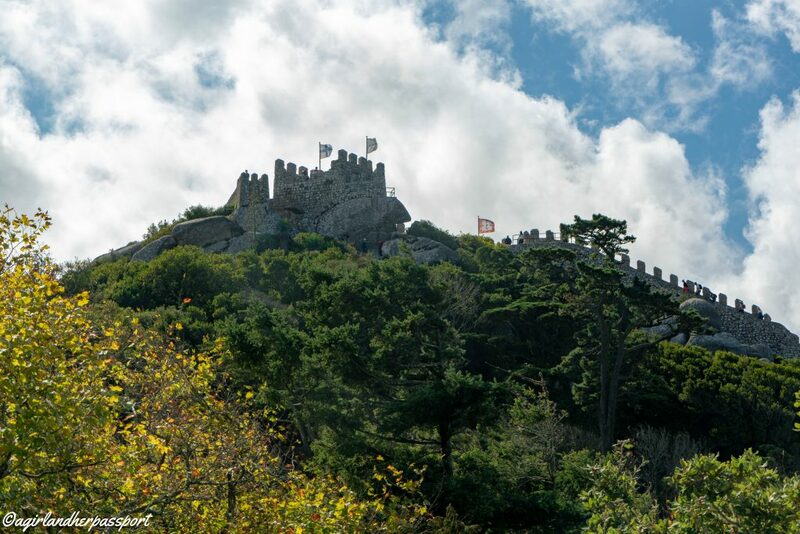 You can take the 434 which takes you to the Castelo dos Mouros, Parque da Pena and Palacio Nacional da Pena. Keep in mind this is one direction bus and you cannot backtrack on the route unless you walk! The other bus is the 435 and it takes you to the Quinta da Regaleira and the Palacio de Monserrate. It is also a one direction bus. You will have to go back to the train station to catch this bus and it is a separate ticket. You can buy a day pass for both buses for €15. Most of the restaurants in Sintra are located in the village near the train station. Several of the castles had small cafes that served sandwiches and snacks. My tip is to bring a snack with you for lunch and make your way back to the village for a bigger meal before heading back to Lisbon. Because Sintra is a tourist attraction, the prices are inflated a bit so you will want to keep that in mind. Sintra is definitely not to be missed with all the beautiful castles and the stunning views of the Portugal coastline it offers. 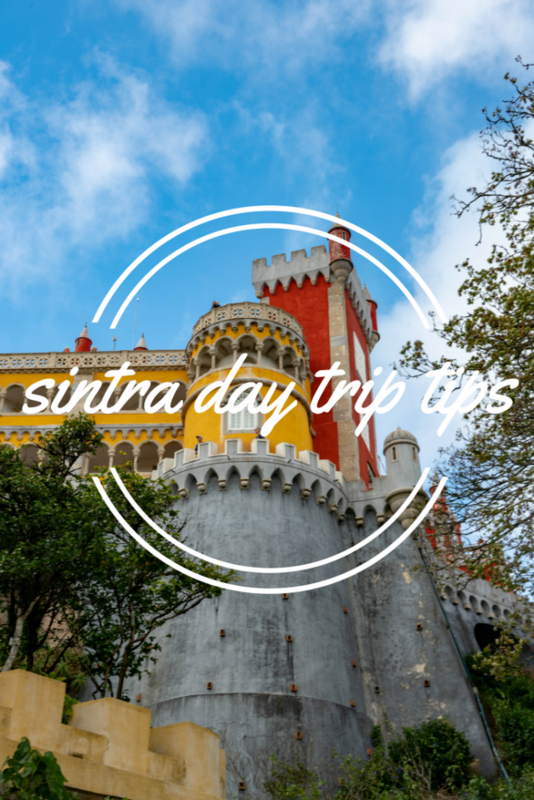 Hopefully, my tips for a day trip to Sintra will help you have the best day there. Do you have Sintra tips? Share with us in the comments. What a gorgeous place. I do love that shade of yellow on that building. It really was! The royals knew what they were doing in that spot. The castle is so colorful. Looks like someplace I would have a fun time exploring. It was all different colors too! The inside was stunning as well. Right! I had the same problem in London. Have a great time in London. Unless you hike often you would be so tired! I was tired after walking to the entrances from the bus. Lol. Yes, it was! I was at the Moorish Castle for that shot. Me too! And your comment came through!! I absolutely love Sintra – very good advice here tiffany. We went on the train to Sintra and had a wonderful day. Hope can go back again sometime. 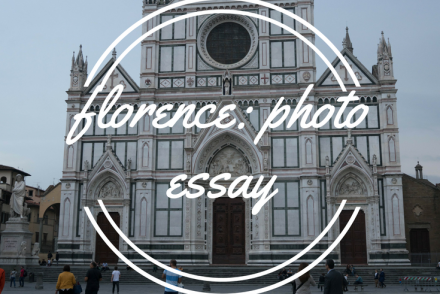 I hope to go back one day too! Thanks!